I am often amazed by what you can put together with old junk and make it look somehow quite wonderful in a new setting. Take rusty old nails for instance, who would think they could really be decorative? This vase shows just how chic they can look given the right arrangement and setting! Finding rustic crafts for home decor just got easier with these fun ideas! 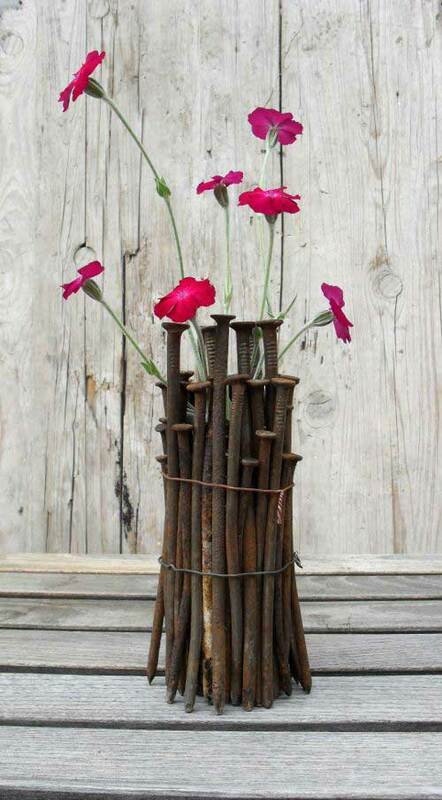 The easy to make vase by Shelterness simply uses a bottle, rusty carpenter nails and a couple of pieces of wire. Of course, not all rustic crafts deal with items that are actually rusty! Probably what first comes to mind when thinking of a rustic craft is nature. 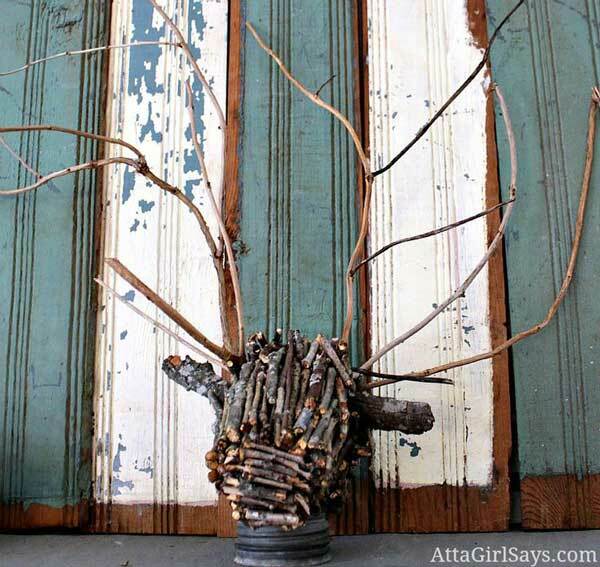 This next idea uses nothing but twigs and branches to construct an awesome faux deer head. This is quite the sculpture, making a fantastic rustic accent. See all of the details on Hometalk. 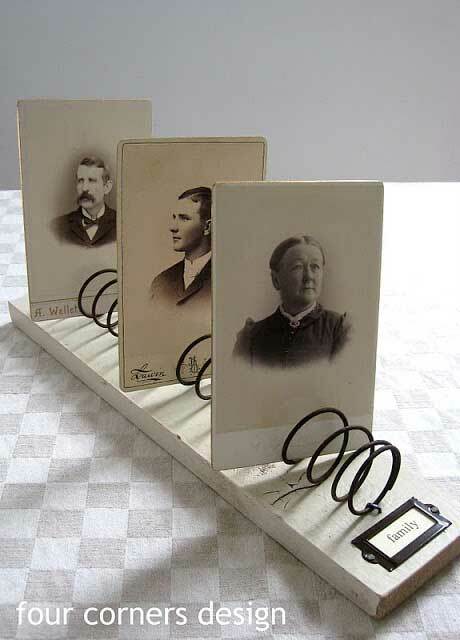 A fun re-purpose project is to take old bedsprings and turn them into decorative photo holders. Get the detailed instructions for this rustic craft at Four Corners Design. Another re-purpose project uses an old soup crate. Crates are an excellent item to use in all sorts of crafts. 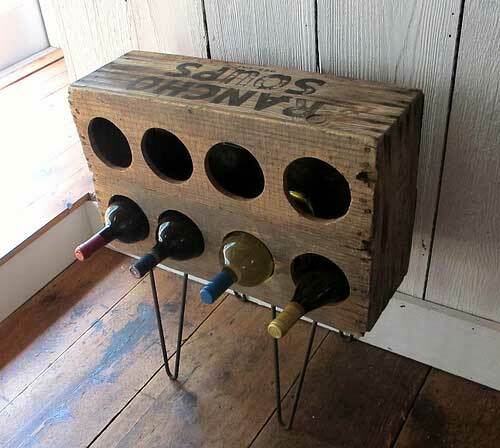 This one turned on its side and placed on hair pin legs makes a very stylish wine rack. See all of the details at Maya Made. 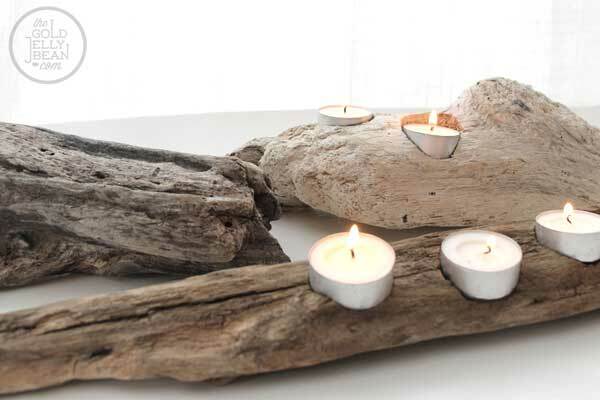 If you like to collect driftwood, like I do, then you might enjoy turning a piece or two into a decorative votive candle holder like these examples by The Golden Jellybean. For many more craft ideas, see my whole category dedicated just to Rustic Crafts.